What’s that you say? Stipe Miocic feels disrespected? Dana White has heard this story before. With Brock Lesnar announced to face Daniel Cormier for the UFC heavyweight championship, that has left the record-breaking Miocic temporarily out of the picture. Miocic has not been shy about requesting a rematch with Cormier. And though a rematch did not seem possible with Cormier’s hard deadline of retiring at 40 following his fight with Brock Lesnar, he has begun to open the door to facing Miocic if Lesnar cannot make it to their bout for whatever reason. This has done nothing to placate Miocic, who yet again feels disrespected by the promotion. 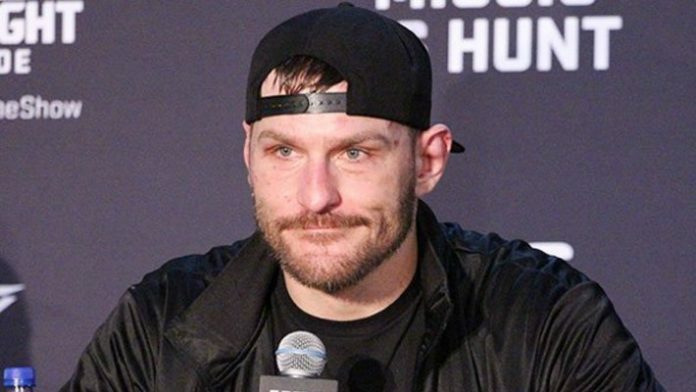 Do you believe the UFC is disrespecting Stipe Miocic?